LOW MILES!! CLEAN TITLE! 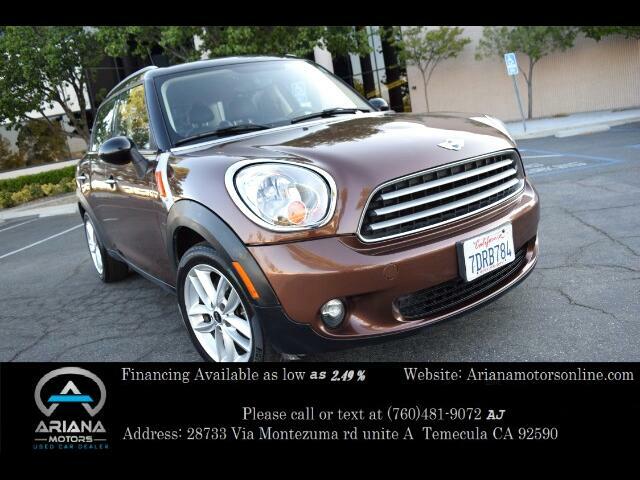 2014 MINI Countryman Base, 1.6L L4 Engine, Automatic Transmission, Clean Title with 72,270 miles. This MINI is equipped with Steering Wheel Controls, Power Doors and Windows, Cruise Control, Air Conditioning, Alloy Wheels, Keyless Entry, Cargo Area Cover, Driver and passenger Airbags and many safety options. The Leather seats are in excellent condition and very comfortable for driver and passengers. Drives smooth like new! Please review vehicle options for more information.